The Simpson family of Avondale credits smoke alarms with helping them escape a fire. Every day, seven people across the U.S. lose their lives in home fires. Approximately half those deaths could be avoided, say experts, if homes have working smoke detectors. One Cincinnati family knows exactly how important those smoke detectors are. 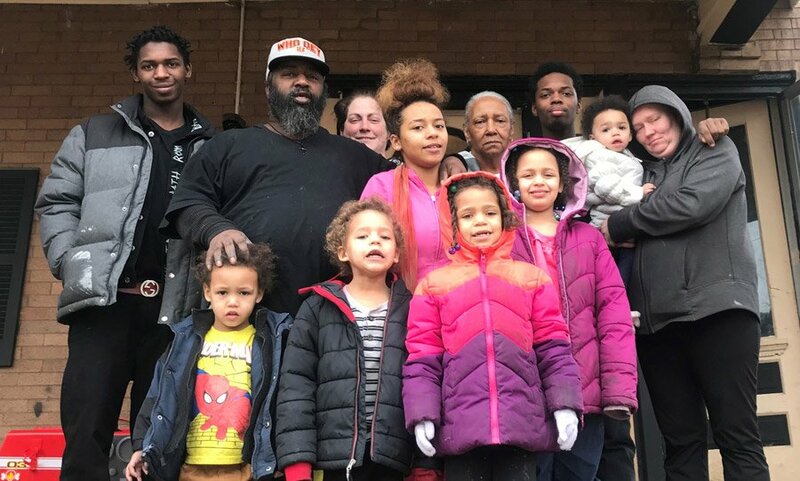 All 13 members of the Simpson family safely escaped their burning home in Avondale last December after being alerted to the fire by smoke alarms, ones installed for them by volunteers from the Red Cross. “If it weren’t for the Red Cross, I don’t know that we would have all gotten out of the house safely,” said Kenneth Simpson. Each spring, the Greater Cincinnati-Dayton Region of the American Red Cross recruits volunteers to help install 2,000 free smoke alarms in homes throughout the community. The effort, called Sound the Alarm, will take place this year from April 27 to May 12, according to regional Red Cross CEO Stephanie Byrd. Volunteers are needed to install smoke alarms, help raise donations, or to pre-canvass in select neighborhoods by leaving door hangers that encourage residents to schedule appointments for alarm installations. The Red Cross has installed more than 1.5 million smoke alarms and saved more than 500 lives in the United States since launching in 2014. Locally, 40 lives-saved can be attributed to Red Cross installed smoke alarms.